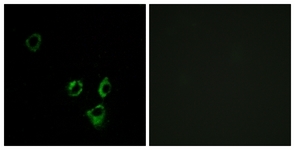 Immunofluorescence analysis of MCF7 cells, using OR2T5/2T29 Antibody. The picture on the right is treated with the synthesized peptide. 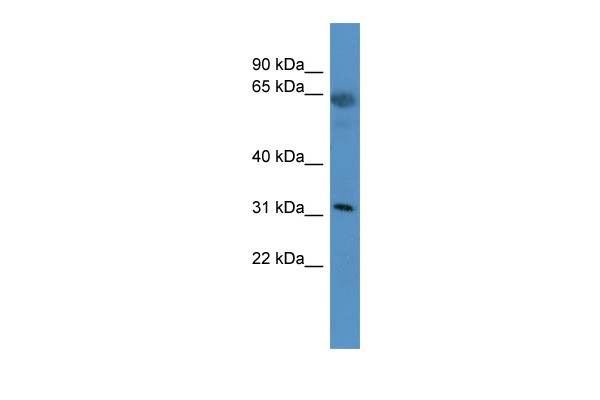 Western blot analysis of extracts from K562 cells, using OR2T5/2T29 Antibody. The lane on the right is treated with the synthesized peptide.